In that practically perfect world in which I live every night between 2AM and 4AM, everyone obtains their medications at an affordable price from their local pharmacy where the pharmacist has time to explain the remarkable benefits, and the (very few) potential side-effects, of the prescription the patient just picked up. I’m also pretty sure that most patients are completely cured in this dreamy world of mine, and only venture back to the pharmacy at Christmas to drop off cookies for the staff. Then the dog barks, the alarm sounds, and I wake up. In real life patients are making decisions about whether or not to fill their medications based upon cost. In real life patients are opting for inferior therapies due to personal finances. And in real life patients are exploring ways to purchase their medications online from other countries for less. As a pharmacist, I practice in the real world. And when I know people will utilize online pharmacies I get concerned for patient safety. So I was pleased when I got some help understanding the current situation from www.PharmacyChecker.com. Gabriel Levitt is the company Vice President and was willing to answer some questions I had (and I think patients have) about ordering prescriptions from outside the U.S.
Gabriel thanks for explaining PharmacyChecker.com with me and my readers here at The Honest Apothecary. 1) Gabriel, to begin with, could you tell us a little about the origin of the company and why it was started? Americans struggle to afford prescription medication, and tens of millions go without. In fact, according to the latest 2012 Commonwealth fund survey, 50 million adults, ages 19-64, did not fill a prescription in 2012 because of cost. Your readers know this better than anyone: CVS did a study of US-based retail pharmacists who reported that the biggest barrier to medication adherence is cost. PharmacyChecker.com helps to alleviate this public health crisis. About 11 years ago, Tod Cooperman, M.D., president of PharmacyChecker.com, was being asked by consumers who subscribed to his other company, ConsumerLab.com (our sister company which checks the quality of vitamins and supplements) about the safety of prescription medication sold online, including that sold by Canadian pharmacies. In his mind, the answer hinged on whether or not the pharmacies themselves were licensed and operating in countries with strong pharmacy licensing requirements: if they were, then the products sold should be of equivalent quality to those sold in the U.S. Dr. Cooperman hired me to investigate a sample of pharmacies advertising online, as well as compare their prices. In April 2003, we reported that 50% of Internet pharmacies were not licensed and that prices from Canadian pharmacy sites were half that of those in the U.S. With the publication of these results, PharmacyChecker.com was born. To sum it up, Americans can save up to 90% on brand name prescription medications, safely, by comparing prices online for free at www.pharmacychecker.com. The lowest priced brand name drugs are found internationally. In contrast, most popular generic medications, particularly those that have been off patent for a long period of time, are cheaper at your local U.S. pharmacy. 2) So what exactly is an “online pharmacy?” Where are the pharmacies you deal with actually located? An online pharmacy is a website that markets and sells prescription medication to consumers. The pharmacies in our program include those based in Australia, Barbados, Canada, India, Israel, Mauritius, New Zealand, Turkey, Singapore, United Kingdom, and the United States. Many medications sold from these pharmacies are the exact same as those approved for sale in your neighborhood pharmacy. Other products are foreign versions of drugs sold here, such as GlaxoSmithKline’s fluticasone propionate; called Flovent HFA in the U.S. and Flixotide Inhaler in the European Union. Customers are informed from which country or countries the product can be dispensed and can choose which country they prefer..
PharmacyChecker.com has a multistep verification process with continual re-verification. In addition, PharmacyChecker.com conducts onsite inspections in some countries. 3) How would a U.S. patient utilize an online pharmacy? Do they need to mail a prescription? Will they transfer a prescription from a U.S. pharmacy? First and foremost, PharmacyChecker.com requires that its member pharmacies require a valid prescription. This is a critical safety guardrail, since rogue online pharmacies dispensing substandard prescription drugs will often fill orders without a prescription. U.S. patients can fill prescriptions online through our verified sites by clicking through to our PharmacyChecker.com members on our website, www.Pharmacychecker.com. Often a mailed prescription is required but scanned, and faxed prescriptions are accepted by some pharmacies as well. Yes, prescriptions can often be transferred from a U.S. pharmacy. 4) What are some of the dangers associated with utilizing online pharmacies? Are counterfeit drugs a real problem? Counterfeit and substandard drugs are absolutely a real problem, both here in the U.S. and in the rest of the world, but consumers can avoid those problems online with proper guidance. The greatest domestic tragedies from bad prescription products have not been related to products purchased online, but from pharmacies in the U.S. These include the recent outbreak of fungal meningitis caused by tainted steroid injections manufactured domestically in, and sold by, compounding pharmacies, from which 54 people have died. Another tragedy was the 168 deaths reported in the U.S. in 2007-2008 from tainted Heparin made by Baxter International, a U.S. company, using adulterated ingredients legally imported from China. In the first instance, regulatory lapses occurred due to confusion over which authority was responsible for oversight, the state pharmacy boards or the FDA. With the tainted Heparin, FDA’s policies seemed inadequate to detect the bad medicine. The worst tragedies from counterfeit and otherwise have happened in very poor African and East Asian countries. For example, in 1995, to combat a meningitis outbreak in Niger, 50,000 people were inoculated with fake vaccines, of which 2500 died. Properly verified online pharmacies, such as those in the PharmacyChecker.com Verification Program, require a prescription and sell genuine, regulated medications, often the exact same brands sold at local pharmacies. Our verification process is evidence-based: in a National Bureau for Economic Research study all tested products that were obtained by PharmacyChecker.com-verified online pharmacies, foreign and domestic, were confirmed as 100% authentic medicines. 5) How does PharmacyChecker.com seek to verify that an online pharmacy is safe and reliable? Obviously you cannot physically visit all their locations. So how does this work? A DEA-issued license for controlled substances for U.S. pharmacies only: non-U.S. pharmacies are not permitted to ship controlled substances into theU.S. Pharmacy licenses are re-verified on an ongoing basis, generally every three months, and all qualification criteria are checked on at least an annual basis. Pharmacies approved in our program must meet strong pharmaceutical and pharmacy requirements. In certain counties where standards are strong but potentially not enforced as strongly as in the U.S, PharmacyChecker.com’s own inspectors check that the dispensing pharmacies meet exceedingly high standards of practice. 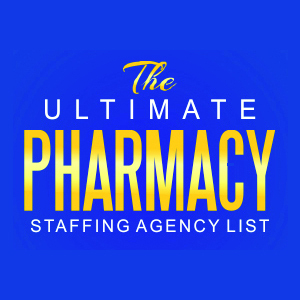 We have a licensed pharmacist on staff, an expert in international pharmacy, who conducts these inspections of member pharmacies on a periodic basis. Obviously, the proof is in the outcomes, as it is in all health care. There has been no adverse event crisis associated with any of the online pharmacies verified by PharmacyChecker.com since its inception in 2003. 6) Where does PharmacyChecker.com get their pricing information from? 7) What can you tell us about the law regarding the use of online pharmacies? Are patients who chose to utilize such services at risk of breaking the law? Domestically, it’s perfectly legal to order and receive medication from a licensed U.S.pharmacy by mail, as long as the pharmacy requires a valid prescription. When it comes to medication from Canadian or other international pharmacies, the FDA’s position is that under most circumstances it’s technically illegal to personally import prescription medication but it does not take enforcement actions against those who do so, as long as the order is for personal use and for non-controlled medication. Recently, the FDA has cracked down on dangerous rogue sites that do not require a prescription, which we strongly support. When it comes to controlled drugs, especially narcotics, such as hydrocodone and oxycontin, the laws are appropriately very strict. Under the Ryan Haight Online Pharmacy Consumer Protection Act for 2008, it is illegal to sell a prescription drug that is a controlled substance, meaning regulated by the Drug Enforcement Agency, over the Internet without requiring a prescription that is based upon an in-person consultation with a licensed health care provider. According to DEA personnel, this law has been successful in putting rogue, drug pusher sites out of business that were once selling narcotics either without requiring a prescription at all, or offering prescriptions based on online medical consultations. PharmacyChecker.com’s verification program is off limits to any non-U.S. online pharmacy that ships controlled drugs into America. 8) In your opinion, do patients who utilize an online pharmacy sacrifice the relationship with a local licensed pharmacist with whom they can talk about their medications? Pharmacists are crucial in educating patients about prescription drugs. Our member pharmacies have licensed pharmacists on staff who answer patient’s questions about their prescriptions. For many patients, this is actually more convenient than walking or driving to the pharmacist at a retail location. 9) So, could you walk us through how exactly a patient would utilize PharmacyChecker.com to find the best price and a safe online pharmacy? Simply go to www.PharmacyChecker.com: type in the name of the drug you’re looking for and hit “Search”; then click the strength of the drug and you’ll come to a price comparison table to find the lowest prices. This table includes pricing information, shipping times, and links to more information about each online pharmacy as well as consumer reviews. You can also click through to a pharmacy website to get more information or place an order. 10) Finally, it seems that patients can utilize these resources for free. How does PharmacyChecker.com manage to pay the staff and support necessary to keep the website functioning? Do pharmacies pay to be listed? If so, might someone be concerned about a conflict of interests in this situation? PharmacyChecker.com’s drug price comparisons, pharmacy profiles, ratings and reviews are free to consumers. Like other verification companies, such as the Better Business Bureau, there are application and membership fees for our Verification Program, which you can read about on our site. To list online pharmacy and drug prices on our website, pharmacies must be an approved website in our program and there are fees for listing prices on our site and for traffic which comes from our site. We do not receive any income from sales by the pharmacies. I would like to warmly thank Gabriel again for answering these questions. The topic is not without its difficulties. The issue has many sides and is sometimes hotly debated. But I am grateful to provide some of the facts here for patients and healthcare workers to consider, discuss and decide for themselves what to do and what to recommend. DISCLAIMER: Note, in this article I am not advocating that patients obtain their medications outside the U.S. Please read my introduction again if you are not sure. Such choices always involve certain risks in my opinion. Skipping medications, however, also involves risk. I strongly recommend patients speak with their personal physician and/or pharmacist if medication costs are becoming prohibitive. Gabriel, I appreciate your business model and that you take the time to “do your best” to assure the products people import are safe; however, as a community pharmacist, I certainly can not promote the use of any prescription medication that was not imported through the “chain of custody” process. The Food & Drug Administration (FDA) in the United States assures all medications approved for use in the United States meet specific requirements. These requirements are numerous and include things like quality, manufacturing, labeling, and storage. The facility where the medications are manufactured are certified and monitored, as well as the tracking of all of the ingredients to each medication. entire process. At every point there is a United States, either federal or state, licensed entity that takes responsibility for this process. This is the legal process to import medications to the United States. Any other way is considered drug trafficking. Please, help me understand the difference between “illegal” and “technically illegal”. Thanks again for taking the time to put this info out in the open for all to see. I admire you for engaging in this conversation. Thank you. This “info” has been out in the open for as long as we’ve been in business: http://www.pharmacychecker.com/about-online-pharmacies.asp. You probably know as well as I do how flawed the “Chain of Custody” actually is here in the United States. Perhaps we’ll debate that further but let’s address your position head on. Your comment states that you cannot promote the use of imported drugs that did not come from “the chain of custody process.” Despite it’s flaws, the FDA has a relatively strong national system. Canada has a chain of custody process, too, and a very good one. Under a revised FFDCA, if U.S. states agreed to license retail Canadian pharmacies would you then promote access to their lower cost medications? The reason one would put the word “technically” in front of “illegal” is because no one, according to the FDA, has ever been prosecuted for importing medication for their own use. As we discuss legality, let’s talk about ethics, too. Sometimes the two do not operate harmoniously. Personally, I believe it’s unethical to ban someone from obtaining medication that they need. How do you feel about that? I just want to personally thank both Steve and Gabe for engaging in this conversation. Both these men are known to me and exemplify the type of healthy conversation needed about this sometimes hotly debated issue. Great stuff. As one of the 275,000 pharmacists in the United States, I think I can speak for all of use in stating that we never want to ban a patient from receiving medications they need. I need to practice under the strict version of the law, that is my choice. provided by AudibleRx. This may go a long way to help assure your clients who order online medications receive appropriate counseling. After listening to a session they may be in a better position to take educated questions back to their own health care provider. If you have any interest, send me a note through our feedback page at http://www.AudibleRx.com and I will send you a temporary logon and password to check out the program. whcih can be purchased by every local pharmacy. experiences about them online. I have however come to fancy http://phrmreviews.com/r/alldaychemist-com-review-reliable-store/ which is more like pharmacychecker in that it offers solid and credible reviews of various online drugs and prescriptions.Sometimes their website is a little bit slow but I think it is a trusted alternative which I highly recommend. Till next post.